Foreign Object Inhaled is the accidental entry of foreign object into airways through the nostrils. What is Foreign Object Inhaled? What are the Causes of Foreign Object Inhaled? Accidental inhalation of toys (toy-parts), stones, beads, and other debris. What are the Signs and Symptoms of Foreign Object Inhaled? How is First Aid administered for Foreign Object Inhaled? Who should administer First Aid for Foreign Object Inhaled? The individual (himself/herself) with ‘Foreign Object Inhaled’ or someone nearby, or a medical health professional, can administer First Aid. What is the Prognosis of Foreign Object Inhaled? The prognosis is dependent on many factors; but, with timely help/intervention, it is usually good. How can Foreign Object Inhaled be Prevented? Mu, L., He, P., & Sun, D. (1991). Inhalation of foreign bodies in Chinese children: a review of 400 cases. The Laryngoscope, 101(6), 657-660. Al-Majed, S. A., Ashour, M., Al-Mobeireek, A. F., Al-Hajjaj, M. S., Alzeer, A. H., & Al-Kattan, K. (1997). 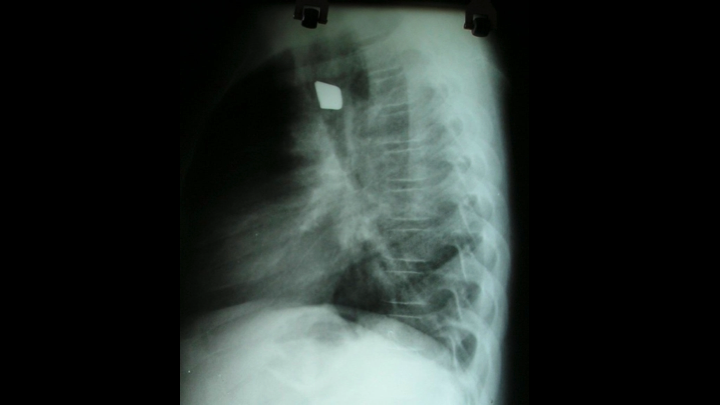 Overlooked inhaled foreign bodies: late sequelae and the likelihood of recovery. Respiratory medicine, 91(5), 293-296. Tan, H. K. K., & Tan, S. S. (2000). Inhaled foreign bodies in children-anaesthetic considerations. Singapore medical journal, 41(10), 506-510. Sersar, S. I., Hamza, U. A., AbdelHameed, W. A., AbulMaaty, R. A., Gowaeli, N. N., Moussa, S. A., ... & Hafez, M. M. (2005). RETRACTED: Inhaled foreign bodies: management according to early or late presentation. European Journal of Cardio-thoracic surgery, 28(3), 369-374. Mani, N., Soma, M., Massey, S., Albert, D., & Bailey, C. M. (2009). Removal of inhaled foreign bodies—Middle of the night or the next morning?. International journal of pediatric otorhinolaryngology, 73(8), 1085-1089. Tahir, N., Ramsden, W. H., & Stringer, M. D. (2009). Tracheobronchial anatomy and the distribution of inhaled foreign bodies in children. European journal of pediatrics, 168(3), 289. Sahin, A., Meteroglu, F., Eren, S., & Celik, Y. (2013). Inhalation of foreign bodies in children: experience of 22 years. Journal of Trauma and Acute Care Surgery, 74(2), 658-663. Tariq, S. M., George, J., & Srinivasan, S. (2005). Inhaled foreign bodies in adolescents and adults. Monaldi archives for chest disease, 63(4).